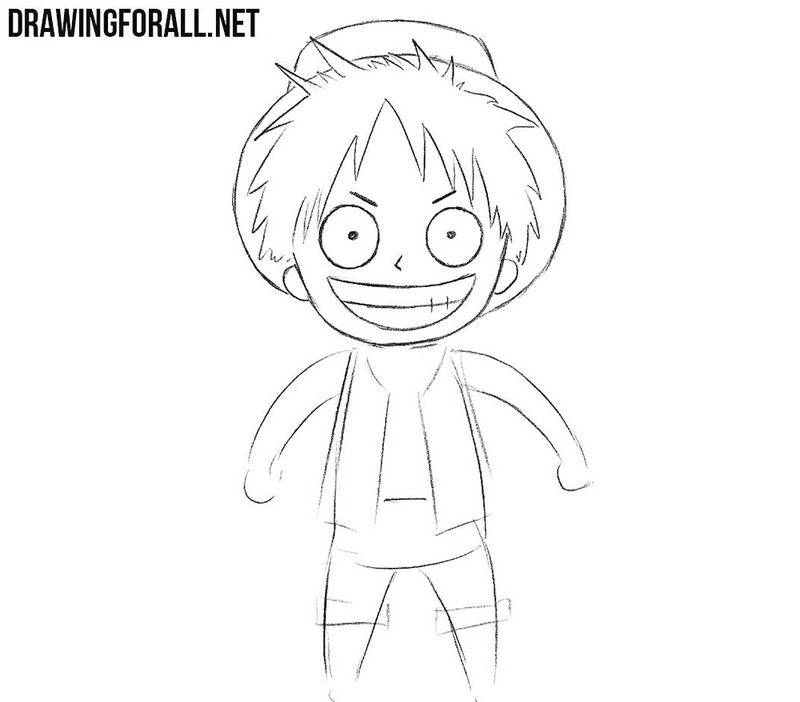 In this simple drawing lesson we’ll show you how to draw chibi Monkey D. Luffy. As you probably know, this is the main character of the manga and anime “One Piece”. Luffy is the captain of Straw Hats Pirates. He ate the Devil’s Fruit, so he became a “rubber man”, and as a result, his body was able to stretch for many meters. 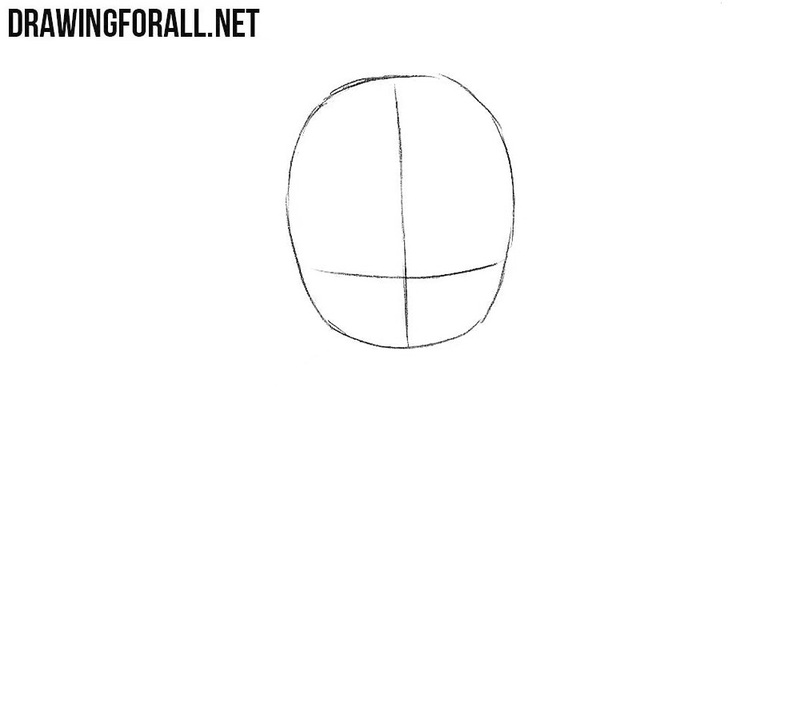 As always, let’s start with the head. 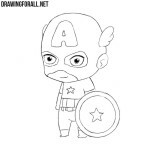 First we outline a rounded head, and draw two intersecting lines on the head. 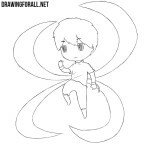 Next, sketch out the outlines of the torso, arms and legs, as shown in our example. Add the outlines of disheveled hair, the famous hat and details of the face. Sketch out the outlines of the vest and pants. 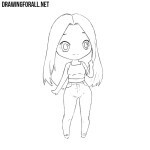 Now using clear lines, draw out round eyes, smiling mouth, triangular nose and eyebrows. 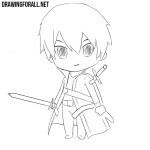 Now draw out the outlines of the face, ears and strongly disheveled hair. 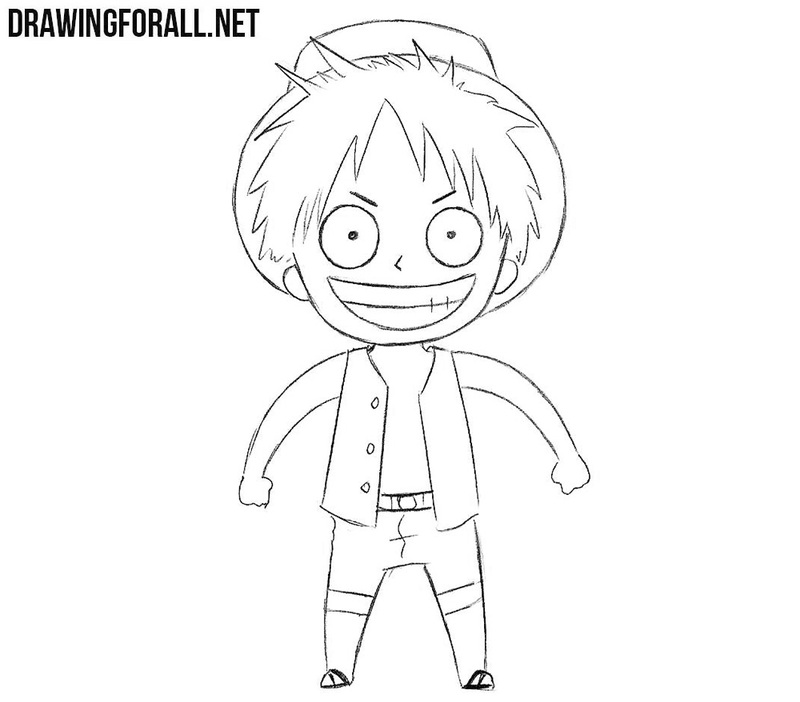 Draw a straw hat and move to step number six. 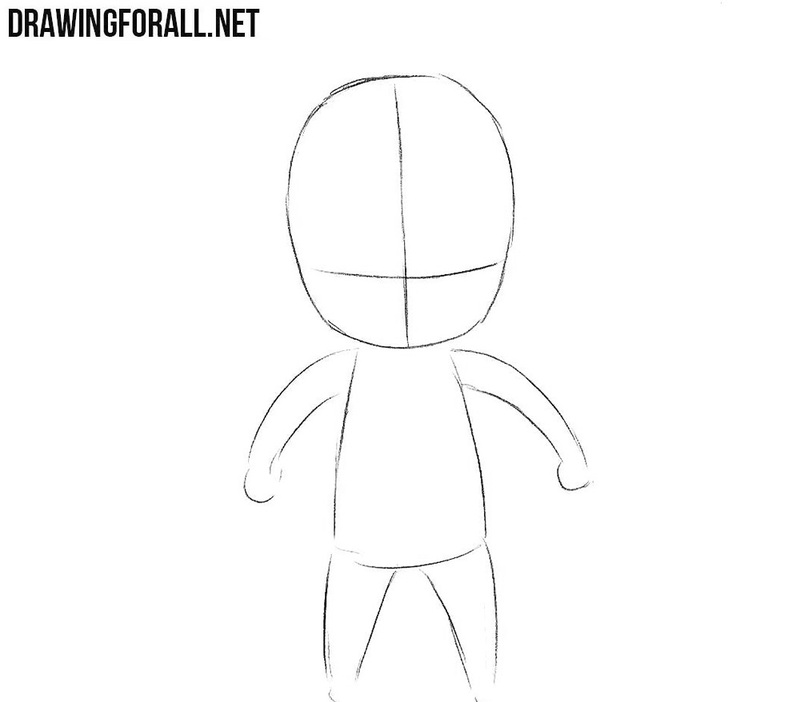 Let’s now draw out the upper body. 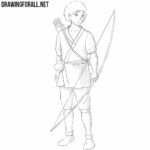 Draw out the torso, waistcoat and arms with clear and dark lines. 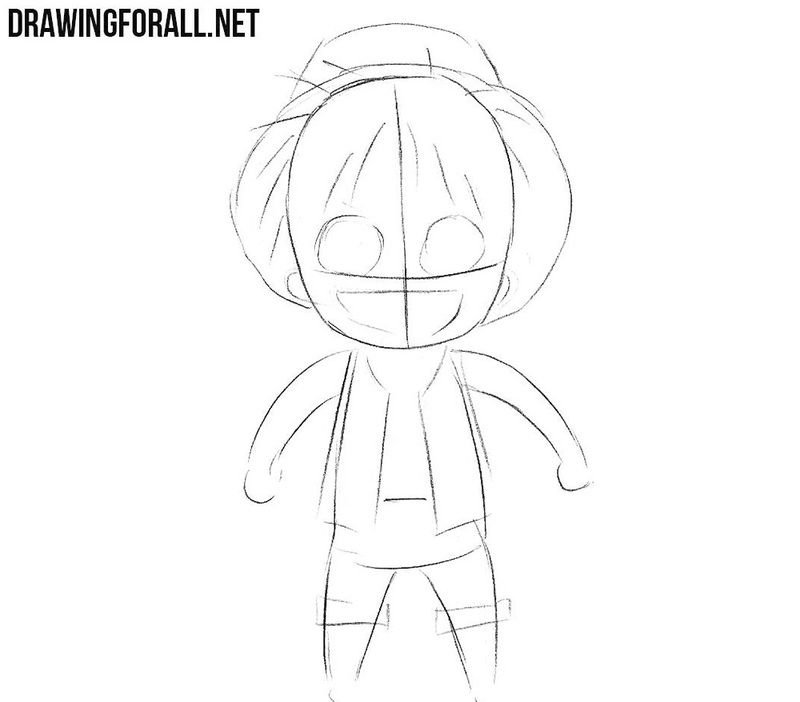 Now let’s draw the details on the lower part of the body. 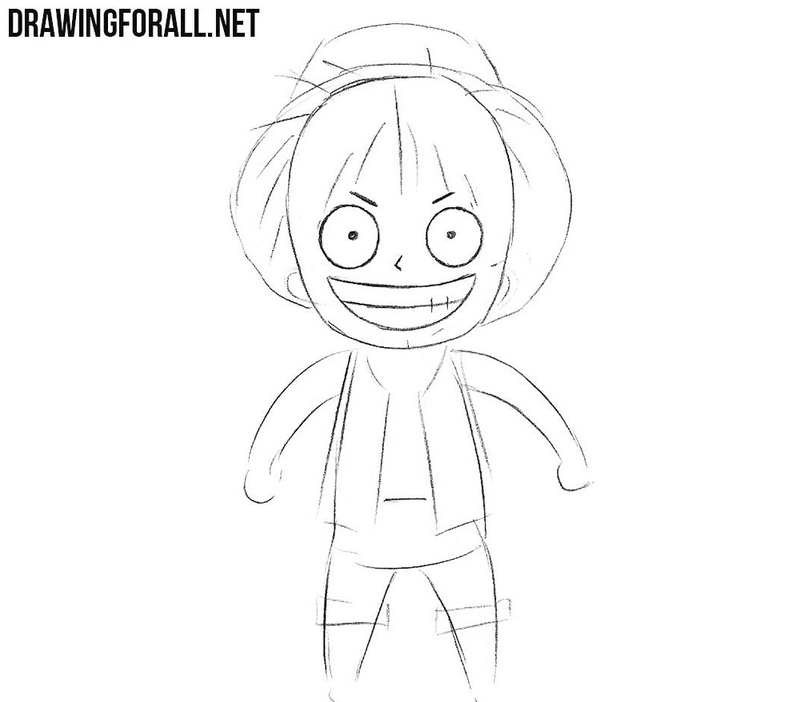 Here we need to draw out the pants, legs and shoes. 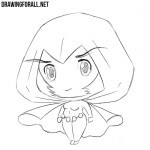 This was another lesson on the subject of chibi on our site. We have a lot of them, and we are sure that you will find a lesson that you will like. But if you could not find the lesson you were looking for, then write us about it in the comments to this article, on our social networks or send us an email (well, or you can send a letter using pigeon mail if you are a real pirate).